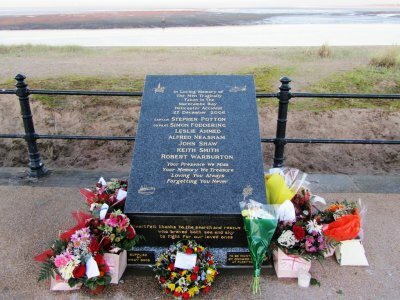 On 27 December 2006, a helicopter was picking up workers from the rig in Morecambe Bay when it crashed into the sea killing everyone on board. RNLI life boatmen from Fleetwood brought the bodies back to shore at Fleetwood, which is why Sandra Potton, wife of the pilot Steve Potton, chose the spot adjacent to Fleetwood Lifeboat Station for the memorial. Twelve months ago, Sandra approached Cllr Andrea Kay with the idea for the memorial that she had been thinking about for a while. 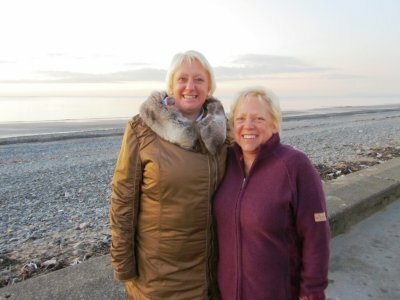 Andrea has helped Sandra through a series of meetings which have been held with Wyre and Lancashire County Councils to sort out the details of where the monument should go and the details of its siting. Now, Sandra’s plans have come to fruition with the unveiling of the monument in this special service which was held on Wednesday 1 February. Sandra met the not inconsiderable cost of the memorial herself. It’s a lectern style, dark grey granite plinth, etched with illustrations of a helicopter, gas rig and an RNLI boat, and poignantly, a forget-me-not flower. The names of the brave men who lost their lives in this disaster are commemorated as a permanent reminder for generations to come. The service took place at 3pm, and Sandra performed the unveiling of the memorial. 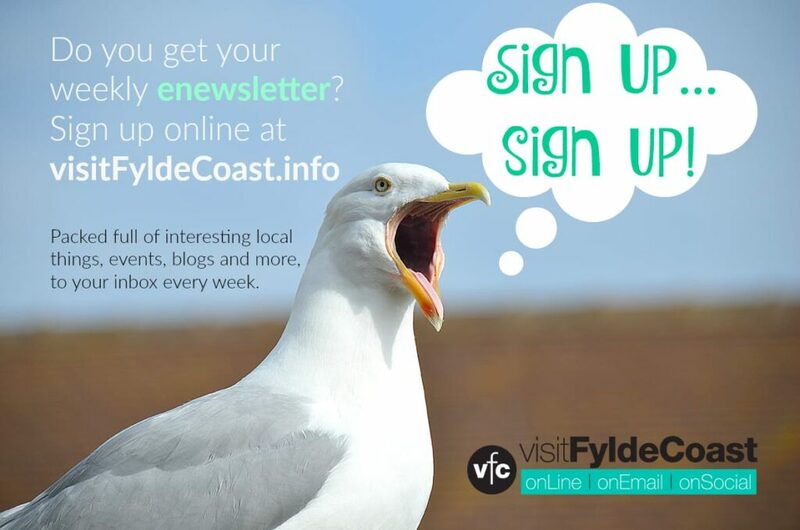 The Mayor of Wyre was in attendance, along with the Head Boys and Girls from Fleetwood High, Cardinal Allen and Rossall Schools, and a short dedication service was performed by Rev Michael Payne. The service was being held after the anniversary of the tragedy so that Steve’s son could be there after making the journey from Canada, along with the wives and families of the other lost men – which would have been difficult to arrange on the exact anniversary of the crash, which is so near to Christmas. 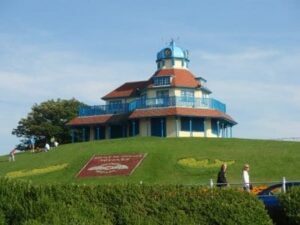 The memorial, sited just at the left of the RNLI station on Fleetwood sea front, joins a number of other tributes on the Wyre coastline which mark the tragic loss of life through the generations, to the power of the Irish Sea off our shore.